» J109 East Coast Championships – Entries are now open! NYC > Sailing > Racing > J109 East Coast Championships – Entries are now open! J109 East Coast Championships – Entries are now open! 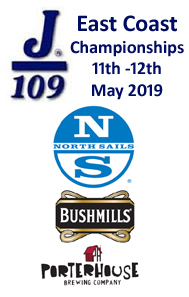 The National Yacht Club is delighted to host the J109 East Coast Championships on Saturday 11th and Sunday 12th, May 2019.